Selma Layne Park is used for special events, such as our Introduction to Observing Astronomy program. 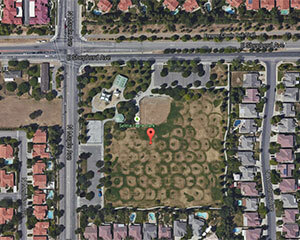 This park, operated by the City of Fresno, is located at the southeast corner of Maple and Shepherd in Fresno. Parking lots are available off of both Maple and Shepherd.